Commercial quality at a backyard price! 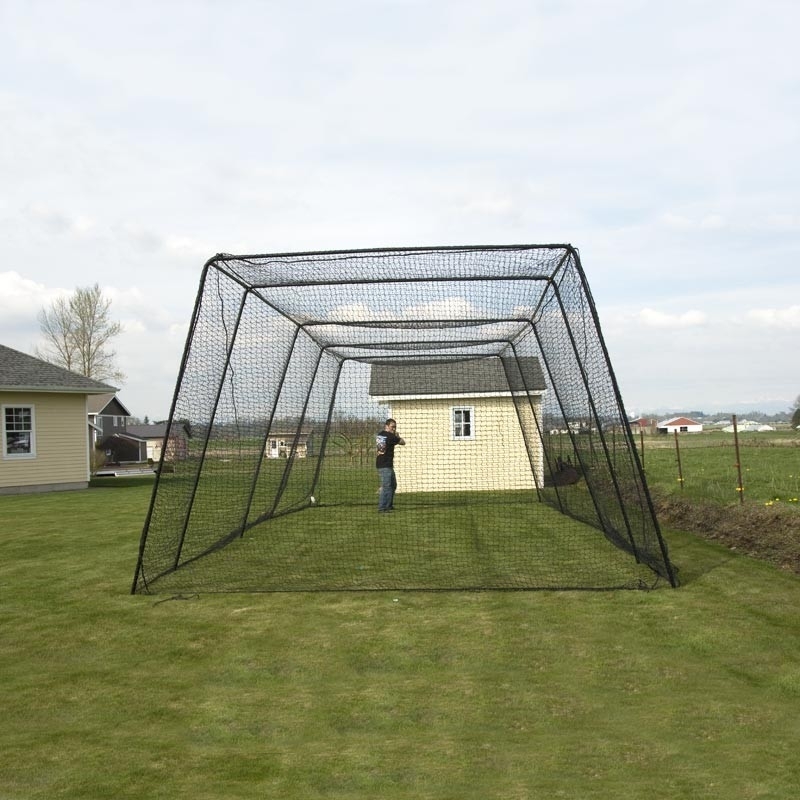 This 70' Trapezoid Batting Cage is a great option for the backyard, or anywhere where space is limited. 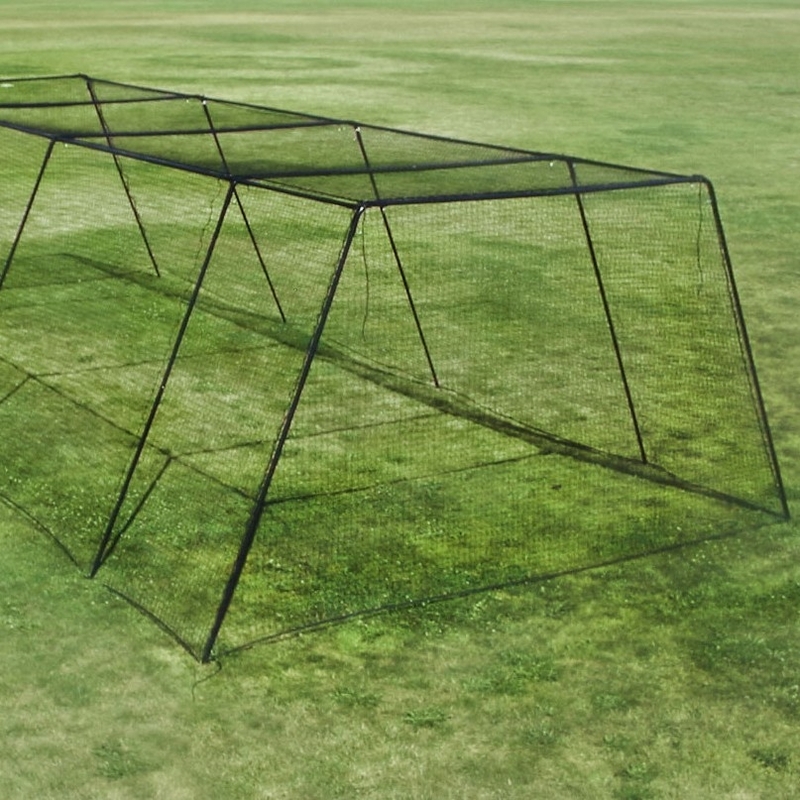 The shape provides a strong framework, making this a completely free-standing cage. There's no need to pour cement. 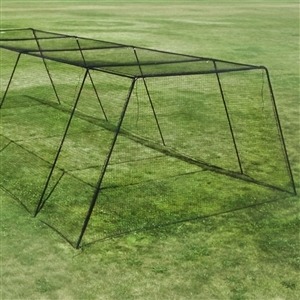 The net slips over the frame, so setup is easy and you get full use of the extra width at the bottom. A great option for young baseball and softball players. 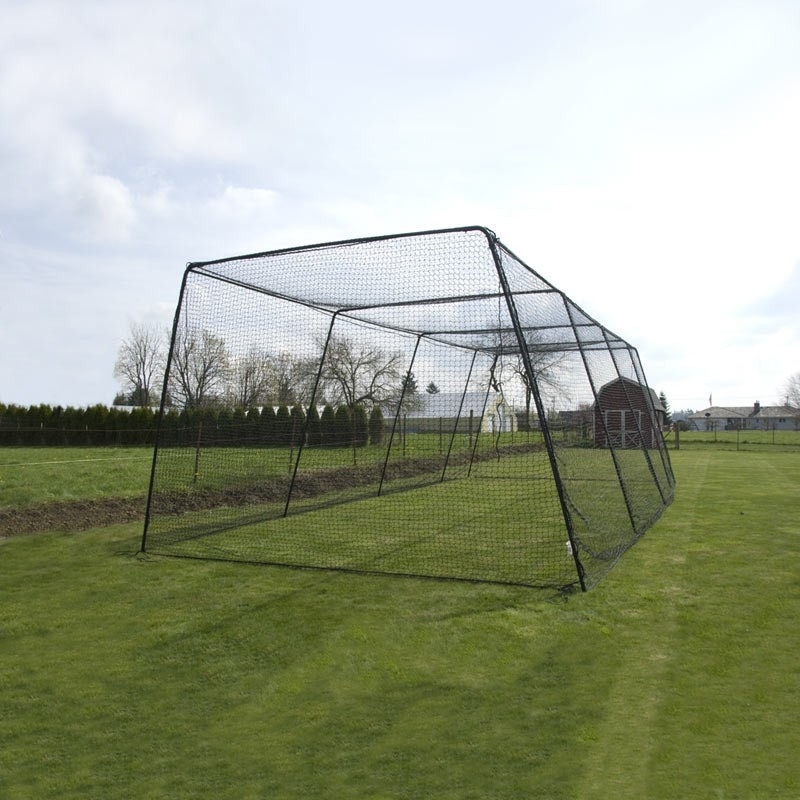 Two people can set this cage up and tear it down in under an hour. Set it up when the season starts, take it down and store it when it ends!